This is a social for ANYONE interested in making a new friend!! All who purchase Best Buddies tickets will be seated together for a chance to mix & mingle! Come out to Historic Bojangles’ Coliseum as the 1st place Checkers take on the Lehigh Valley Phantoms. Tickets start at just $16, with $5 from every ticket purchased going directly back to Best Buddies! 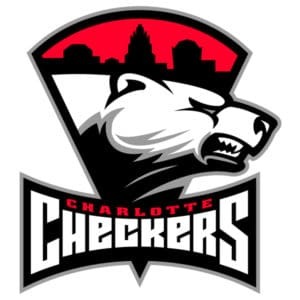 Everyone will also get a free Checkers hat that can be picked up at the Ticket Info table located on the concourse near Sec 107! Questions? Please contact Izzi Tritz at IzziTritz@bestbuddies.org or David McAdams at dmcadams@gocheckers.com. 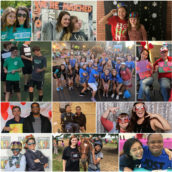 2/26, 3/26, 4/30 & 5/28 Conference Call Charlotte, NC Join Best Buddies on this call to learn how you can start a new program, volunteer with the team and become an active Ambassador for the mission for inclusion in your community. August 23, 2018 Charlotte, NC Three Spirits Brewery Join us for a drink to benefit Best Buddies! A portion of every pint sold will be donated to Best Buddies North Carolina. November 13, 2017 North Carolina Chipotle Make dinner a selfless act by eating at any North Carolina Chipotle location on Monday, November 13th between 11:00am and 8:00pm for a fundraiser to support Best Buddies in North Carolina!! 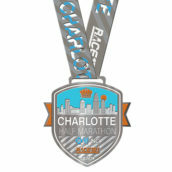 September 22, 2018 Charlotte, NC Toringdon Race 13.1 Charlotte, NC half marathon, and 8k returns to the Queen City on September 22, 2018!